Dow Jones Industrial Average News, 4/28/2016: Just when you thought that the markets were going to start moving away from the trap of listening too much to what central bankers have to say, the market tanks when it isn't allowed to get its sugar high. 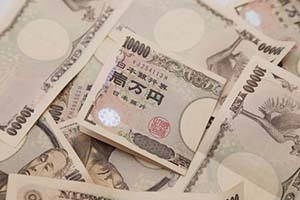 The Bank of Japan (BOJ) made a surprise announcement to not cut rates or inject more stimulus, and that sent the market down early this morning by more than 150 points. It seems that this cycle of expectations is never going to end. That said, here's today's top stock market news, stocks to watch, ways to profit, and economic calendar for April 28, 2016. Dow Jones futures projected a 150-point loss this morning after policy decisions from the Bank of Japan and the U.S. Federal Reserve. In addition, investors are eyeing first-quarter GDP, and the expectations couldn't be any more disappointing. First up, the markets moved lower on news that the Bank of Japan announced it will keep its monetary policy unchanged. The decision fueled a sharp rise in the Japanese yen and pushed stock futures lower. In America, the Federal Reserve announced a similar decision to maintain interest rates at current levels. The central bank was not expected to increase rates, and Janet Yellen highlighted the challenges in the U.S. economy. Currently, the U.S. economy has seen increased job growth and stability in the housing market while business investment and manufacturing has cooled. On the economic front, pay attention to today's first-quarter GDP report. Consensus expectations call for a 0.7% increase – hardly anything – in economic growth during Q1. The U.S. economy has seen pronounced weakness in its manufacturing sector in recent months, and concerns about consumer spending and consumer confidence have many wondering if we'll even come close to meeting these already underwhelming expectations. Given the dismal wage growth and other concerning factors like declining trade, our Chief Investment Strategist Keith Fitz-Gerald has raised the concern that the United States might actually be in a recession. The Federal Reserve does not know it, though, because we use arcane, outdated metrics to determine an economic downturn from more than 100 years ago. Here is Keith's insight on how to invest for the recession that is likely already in our face. Next, Facebook Inc. (Nasdaq: FB) shares are rallying after the company crushed earnings expectations and announced that quarterly revenue surged more than 50%. Shares rallied more than 9%, pushing the stock to nearly three times its IPO value back in 2012. The stock rally accompanied the creation of a new class of non-voting shares that will embolden CEO Mark Zuckerberg's power at the social media giant. The deal ensures that Zuckerberg can give away or sell non-voting stock to fund his philanthropy efforts but maintain his grip on voting rights. On the deal front, shares of medical Jude Medical Inc. (NYSE: STJ) rallied more than 25% in pre-market hours. News broke that the firm will be purchased by Abbott Laboratories (NYSE: ABT) for $25 billion. Crude oil prices retreated from 2016 highs as energy traders took gains from this month's steep rally. Still, many expect that declining domestic production and rising risk sentiment could push crude prices higher as we conclude the week. Brent crude futures slipped 0.2% in morning trading, while West Texas Intermediate (WTI) futures slipped 0.3%. Valeant Pharmaceuticals International Inc. (NYSE: VRX) announced plans to replace five board members as the company continues to undergo a number of sweeping changes as it faces increased scrutiny for high drug prices. This week, board member and hedge fund manager Bill Ackman testified before a U.S. Senate committee about the company's pricing practices. The firm's new CEO Joseph Papa – who recently joined Valeant from Perrigo Co. Plc. (NYSE: PRGO) – will also join the board and assume the role of chairman. The man whom Papa replaced – Michael Pearson – also testified before the Senate on Wednesday and said that the company's recent price increases were too aggressive. Shares of Ford Motor Co. (NYSE: F) gained 1.1% after the automotive giant reported a 113% surge in quarterly net income. The firm said it set new records for its operating margins as sales of its F-150 pickup truck surged in North America. The firm also saw increasing profit levels in Europe, a market where it had seen weakness in recent years. On the earnings front, look for additional reports from Gilead Sciences Inc. (Nasdaq: GILD), Amazon.com Inc. (Nasdaq: AMZN), LinkedIn Corp. (NYSE: LNKD), Ford Motor Co. (NYSE: F), Groupon Inc. (Nasdaq: GRPN), Mastercard Inc. (NYSE: MA), Pandora Media Inc. (NYSE: P), Celgene Corp. (Nasdaq: CELG), and Expedia Inc. (Nasdaq: EXPE).